It used to work. USED TO! Not anymore. Your audience are more skeptical than ever because they’ve all gone through funnels like this dozens of times. They know the countdown timer never reaches zero. They know your bonuses aren’t worth thousands of dollars. They know you aren’t speaking to “them”, or trying to solve their business’ unique problems and pain. I noticed this trend a few years ago, and it lead me to create The SSF Method. It’s evolved a lot since then, but the premise remains the same: not everyone in your audience has the same issue, and not everyone is at the same stage in their journey. The SSF Method acknowledges this, sharing the right message with the right people, at the right time. Sidewalk: people in the sidewalk have the symptoms of pain, but don’t understand the problem they have. For instance, they are stuck inside the “six-figure hamster” wheel working longer and harder each week, but they have no idea why they are (or fully understand they’re caught in hustle-mode). Slow Lane: people in the slow lane understand they have a problem, but they’re unsure what the solution is. At this stage they accept they’re stuck in the “six-figure hamster” wheel, and they know they need to get off it if they’re to scale from 6 to 7 figures… they just don’t know how. Fast Lane: people in the fast lane are ready to take action, so they just need convincing that your solution is the solution they need. Let me just say… this new method changed how we did business! We realized only a small percentage of our audience were ready to buy (just 3% are in your Fast Lane), meaning all those sales-centric messages not only affect your conversion rates… but they push people away! We were just like everyone else, so our audience treated us like they do everyone else: with silence. Once we began to share the messages and content they needed at the right time, we became relevant to them. We earned their trust. We built intimacy and rapport, and transformed into the only solution they turned to when they were ready to pull the trigger. In a nutshell… This is The SSF Method; and it’s at the pinnacle of one of the pieces that allowed for the The ROI Method to become what it is today. …we developed The SSF Matrix so anyone — no matter what their business or audience — can use is to scale their empire to the next level. If you want to know how to grow your business quickly and effectively, this is what you need. 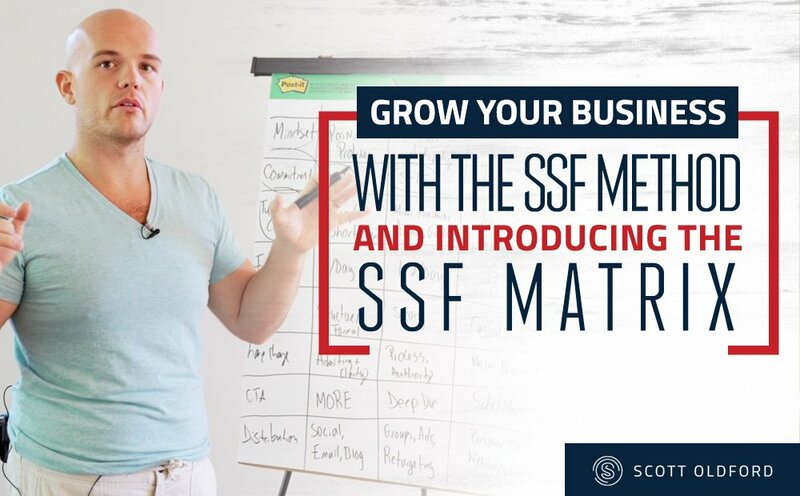 The SSF Matrix will help you become the “go to” expert your audience needs, and stop you from wasting time and money on outdated online marketing hacks that NO LONGER work. The SSF Matrix takes into account the psychology and mindset of your audience. It appreciates different people are at different stages on their journey. Not everyone is ready to buy right now, but that isn’t to say they won’t be ready to buy in a few weeks or months. Yet traditional marketing treats everyone the same, sharing the same message with EVERYONE. This is great for those in the Fast Lane… but what about the rest of your audience? They’re turned off by you, because you’re not relevant to them. They don’t relate to or trust you, meaning you isolate a massive portion of your audience and leave A LOT of money on the table. Although those in your Sidewalk show the symptoms of pain, they don’t understand what the problem is (or that they even have a problem). They are stuck inside the “six-figure hamster” wheel but have no idea they are. They just figure this is what it’s like, so carry on as normal. Your job is to introduce them to their pain / problem, and relate to them on their level. Illuminate their pain and give them the opportunity to realize their problem. Until they do, you cannot help them. Those in your Slow Lane understand they have a problem, and they want to overcome their pain. But at this stage they are unsure how, and may not even know there’s a solution out there. Your job is to introduce them to your methodology / process, so you can show them what life at the end of the tunnel looks like. You need to give them something to buy into, but also give them reason to buy into YOU as an authority figure. Finally, those in your Fast Lane are ready to pull the trigger and overcome their problem. They understand it enough to take action, and simply need convincing that the life they could have is better than their current one. Your job is to show them what life on the other side looks like, and how your solution will transform their reality for the better. Mindset is the first (and possibly most important) thing to take into account inside The SSF Matrix. It sets the tone for everything else, because until you tap into what your audience is thinking / feeling, it’s hard to become relevant and trustworthy. If someone is in your Sidewalk, do you think sharing a 60+ minute webinar will work? What about if someone is in your Fast Lane… will a quick guide convince them to send you $5,000? Of course not. Different lanes require different commitment levels. Depending on where your audience is on their journey (and how well they trust you), affects the time they’re willing to commit to you. If someone is in your Sidewalk, they don’t yet care much about you or what you have to say. You’re just another person popping up in their newsfeed, so if you do manage to capture their attention, they’ll only give you (less than)3 minutes of their time. Those in your Slow Lane are willing to give you a little more time… 5-15 minutes. The video above is an example of this: a slow lane video that gives in-depth content, but it still brief and on-point. In the Fast Lane, your audience will typically commit up to 60 minutes of their time on you. At this stage you have earned their trust, so you can go deeper with them through a book or webinar. The content you create NEEDS to take your audience’s commitment level into account. It doesn’t matter how valuable your content is if it’s too short or too long. It only matters if they actually consume it, and each lane will only comity so much of their time to you. The content you create depends on the commitment your audience is willing to give you. This isn’t about quality. However short or long your content is, quality always matter. But as important as this is, it also needs to be RELEVANT to them… so make sure the content you create is relevant to the type of audience you share it with. People in your Sidewalk will only commit up to 3 minutes of their time, so you need to capture their attention with Short / Micro Content. A short Facebook post may work, or a Video Trailer of sorts. This could also come in the form of a short guide that provides a specific piece of actionable training. With those in your Slow Lane, you can go into greater detail with a more in-depth guide, video training or article. You have up to 15 minutes to impact them, so your content needs to take this into account. In your Fast Lane, you can go deep with someone because they’re engaged and ready to take action. This may come in the form of a book or webinar, but also a 1-1 call where you dive into their specific situation. At all times, your content needs to be relevant and relatable, and consider the commitment your audience is willing to give. Quality is always important, but without relevance it means little. It’s important to not do too much, but also AS important to not share too little. After all, to become the “go to” expert is to become TOP OF MIND. Your audience needs to see you often, and ‘buy in’ to the idea that you are the authority figure they need in their life. In your Sidewalk, they only want to see you show up once per day (at the most). Whether this in their inbox or newsfeed or elsewhere online, they don’t need to see you everywhere because they’re still beginning to trust you. Once they are in your Slow Lane, you need to get in front of them every day (1-2 times), ideally across multiple platforms. Whereas you should show up to those in your Fast Lane 2+ times each day: in their inbox, newsfeed and anywhere else of value. Part of The ROI Method focuses on Omnipresence, which is this notion of becoming “top of mind”. But this DOES NOT mean show up 15+ time per day to everyone. You need to show up in the right way, at the right time and at the right frequency. Get this wrong and you’ll become an annoying mosquito instead of a “go to” authority. The tone you use for different elements of your audience also matters. Some of your audience know you well, so want to see you be more casual and open. But for those who have only just come across you and your work… you may put them off. Those in your Sidewalk want to see more structured and formal content, because they don’t yet trust you. They don’t care about your story or anything like that. All they care about is whether you offer value, and are someone worth following. In your Slow Lane, they want to hear your story. They need to get to know you, and you need to build their trust. Storytelling is the best way to do this, as is sharing your story and journey with them. Once they get into your Fast Lane, you can connect with them on a deeper level. They crave to see the “real” you, which means you can open up and share your unfair advantage. Be yourself, be casual and share the same tone you would with friends and peers. This is another reason why the traditional approach of sharing the same message with everyone no longer works. Different people at different stages want to see a different version of you. Your tone plays a big part in this, so take it into account when you communicate with your different lanes. This is a huge part of the The SSF Matrix, because in the end of the day you want to move your audience from Sidewalk ⇒ Slow Lane ⇒ Fast Lane ⇒ Loyal Customer. As your audience gains clarity and gets to know you better, they’ll naturally progress through these lanes. But you can make this transition easier for both you and them by being intentional about how you move them from lane-to-lane. To move someone from the Sidewalk, they first need to understand (and admit) to the pain they are feeling and the problem they have. You need to illuminate this for them, and they need to gain clarity. For someone to move from the Slow Lane, they need to understand and appreciate your process / methodology, and get to the stage where they want to solve their problem. Trust also plays a large role here, because someone won’t move into your fast lane until they trust you and see you as an authority. Finally, in the Fast Lane… they need to “buy into” their New Reality and appreciate what life will look like once they work with you. They need to get to the point where they’re ready to invest in themselves (and fill the gap between their Pain + Vision). If you implement The SSF Matrix properly, this process happens naturally. Your audience will move through these lanes as their trust in you grows (and they see how powerful your methods are). But by being intentional about this transition, you can make everything smoother by introducing the right Call to Action. It doesn’t matter how good you are and compelling your content / product / offer is… your audience needs YOU to take the reins and prompt them to take action. If you don’t, they won’t overcome their pain and you won’t turn a lead into a customer. It’s as simple as that, which is why your Call to Action (CTA) is so important. In the Sidewalk, they want to see more information / content. They don’t know you well enough to commit a lot of time (or money), so the best action they can take is to consume more of you. In the Slow Lane, they are ready to Deep Dive into your process / method, so you need to create a guide, video training or short course that not only teaches them your methodology… but lets them do part of the process on their own. In the Fast Lane, it’s all about introducing them to your offer. At 1MT (and with most of our members inside The Relevancy Engine or Project Nuclear) this almost always includes a Sales Call. But it could include a webinar or course, or anything else that gets them into your “world”. 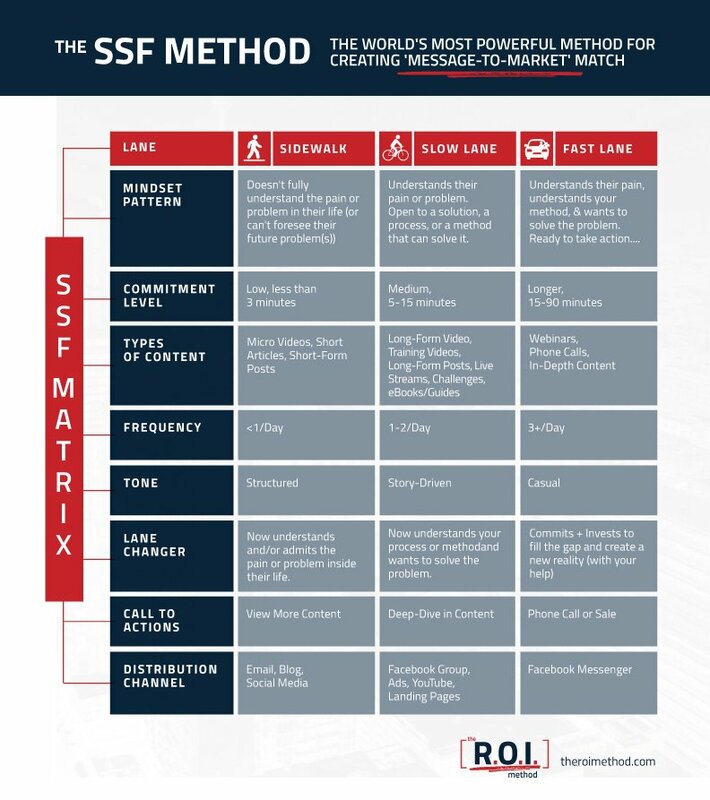 Just because The SSF Matrix shows you a new way to approach marketing doesn’t mean it goes against all the old rules. You still need to “sell” and create a call to action, but this time it doesn’t feel as “salesey” (and is a whole lot more effective) because you’ve built their trust. The final piece of this puzzle is Distribution… and how / where to share your content. This largely depends on your audience and where they “hang out”, so take the following as a guide and tailor it around YOUR avatar. In the Sidewalk your audience crave micro-content, so much of your distribution centres around Social Media, your Blog, Email and PR. Once in the Slow Lane, you need to deeper so more in-depth emails work, as does a Facebook Group, Youtube Channel, Landing Pages or Mini Sites, and Online Ads that re-target them based on their consumption so far. Finally in the Fast Lane, your distribution needs to go deeper still with things like Webinars, Challenges and Courses… but also deeper in terms of intimacy (Facebook Messenger, more sophisticated retargeted ads and intimate Facebook Groups / Communities). Some people will come in at the beginning and travel through the whole process, whereas others will join via the Slow Lane or Fast Lane. It doesn’t really matter, because your focus is to provide relevant value to the right people at the right time. Whether you do this via Email Funnels, Facebook Ads, Content Marketing or whatever else… you turn your focus away from placing EVERYONE straight into the Fast Lane (which is what the majority of online entrepreneurs do) and instead create three hyper relevant funnels. Remember, only 3% of your market is actually in the Fast Lane… so by approaching marketing like you have you’re distancing yourself from 97% of your (potential) audience. It’s insane… so so doing it! Instead, use The SSF Matrix to create relevant messages for the right people, at the right time. Tailor this approach to YOU and YOUR audience. Make this whole process work for YOU. But if you are starting from scratch, we recommend you focus on The Slow Lane first. 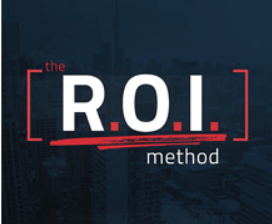 This is only part of the puzzle… just one single piece of The ROI Method. We’ve poured a lot of money and time into this, and in some form my entire team has worked on it. I think it’s one of the best things we’ve EVER created! 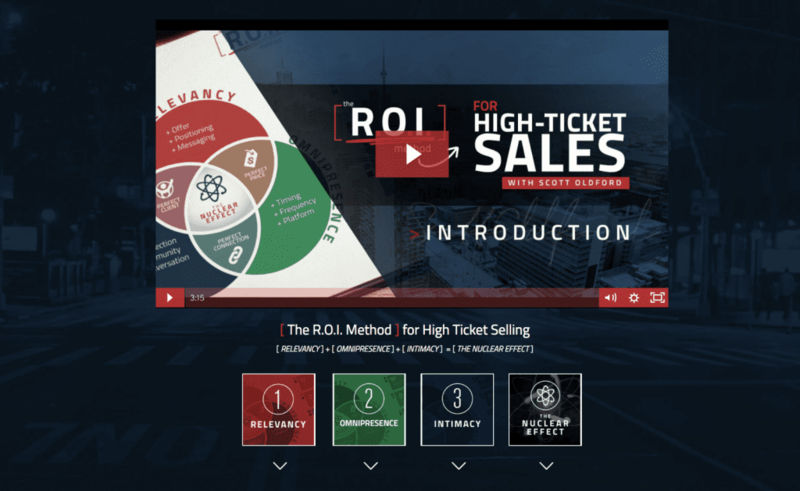 It shows you how The ROI Method works… and how YOU can make it work for YOUR BUSINESS! If you want to know how to grow your business and scale to the next level, this is what you need. We’ve helped dozens of businesses owners already, and each day work with talented people to scale their business from 6 to 7 figures (and then… up toward 8-figures). The SSF Matrix plays a big role in this, but it’s only one piece of the puzzle.